THE Green Party has said a complaint made against former DUP health minister Edwin Poots over a Twitter message "will not be continued". 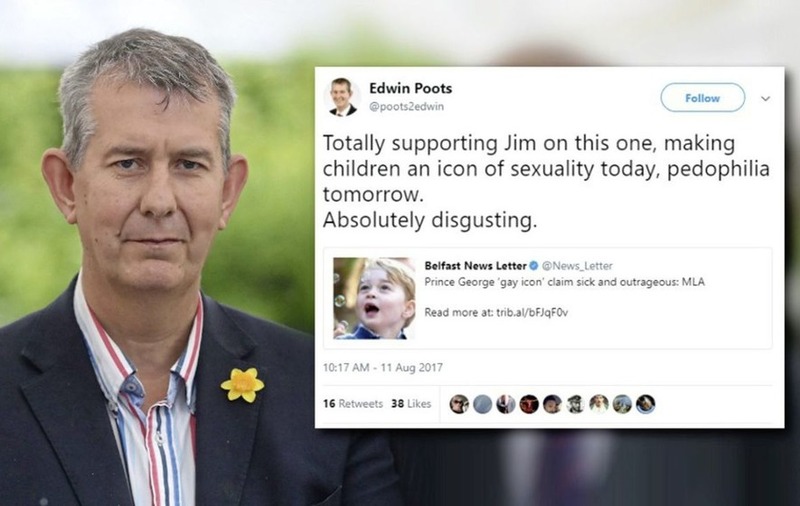 In the tweet, Mr Poots criticised an article by PinkNews which said that some social media users were describing four-year-old Prince George as a “gay icon”. “Making children an icon of sexuality today, pedophilia [sic] tomorrow. Absolutely disgusting,” the Lagan Valley MLA wrote. The comment led to an online petition calling for action against the DUP politician. Mr Poots later dismissed claims that his tweet linked homosexuality with paedophilia. 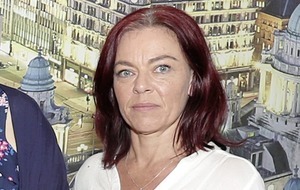 After the petition gained more than 6,000 signatures, Green MLA Clare Bailey lodged a complaint with assembly standards commissioner Douglas Bain. However, Mr Bain has written to her saying the complaint was "not admissible" at present because she has not stated the rules of the MLAs' code of conduct allegedly breached, or provided sufficient evidence that Mr Poots was acting in his capacity as an MLA at the time. He said if further information was not provided by September 8, the complaint will not be investigated. The Green Party said last night that "given that all available evidence had been previously provided, the complaint will not be continued by Ms Bailey". The watchdog's response also prompted Ms Bailey to call for reform of the assembly's code of conduct "to embrace a wide interpretation of when and how MLAs are acting in an official capacity".